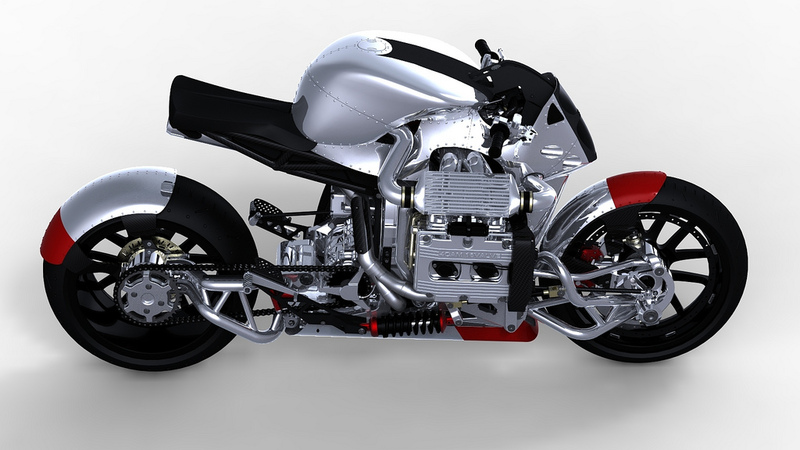 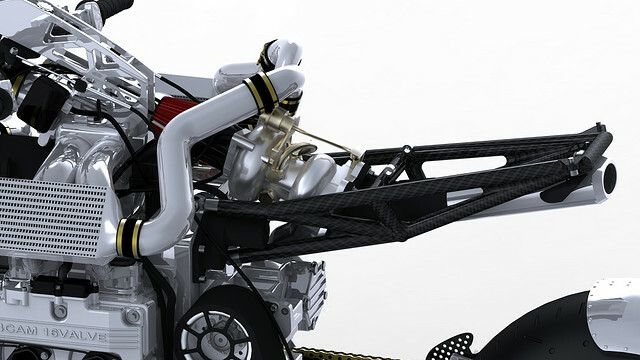 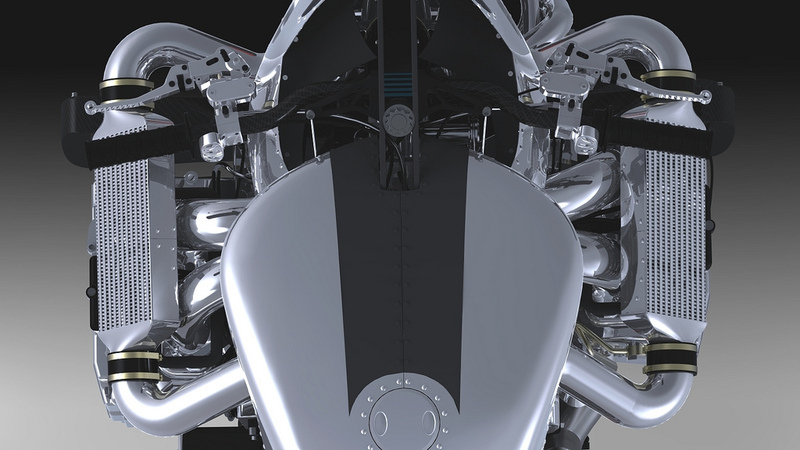 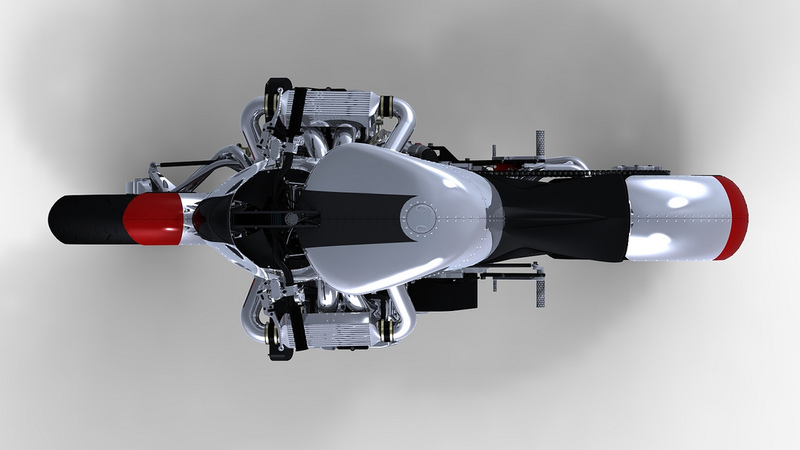 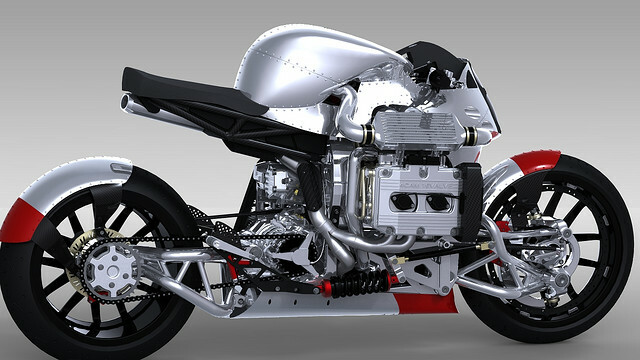 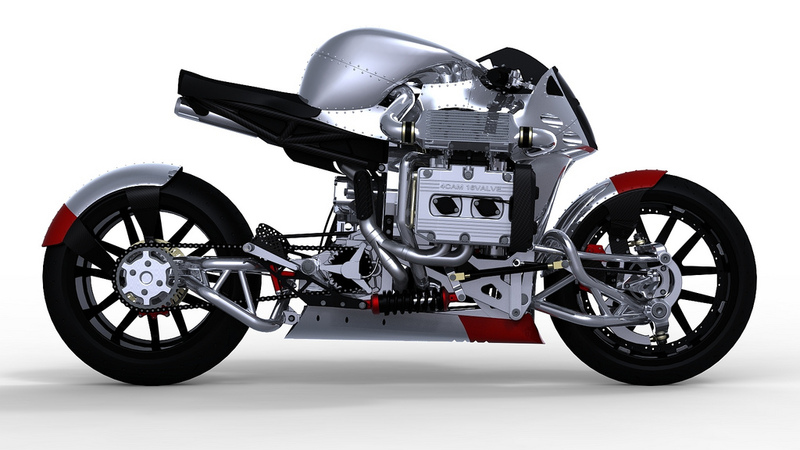 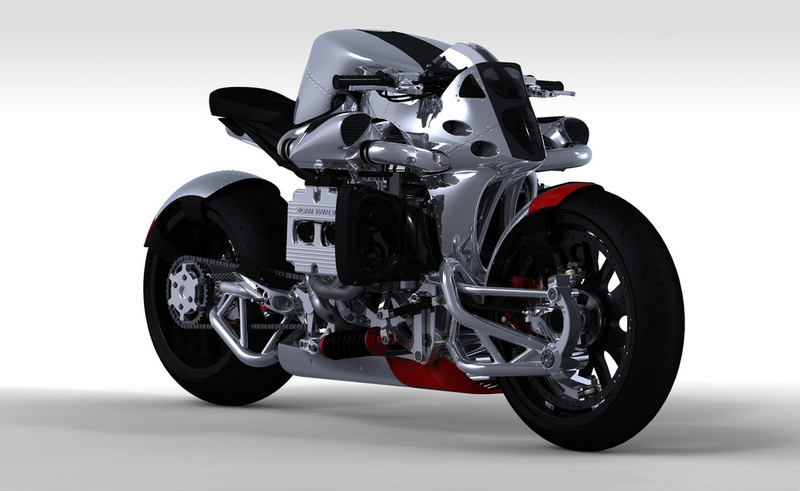 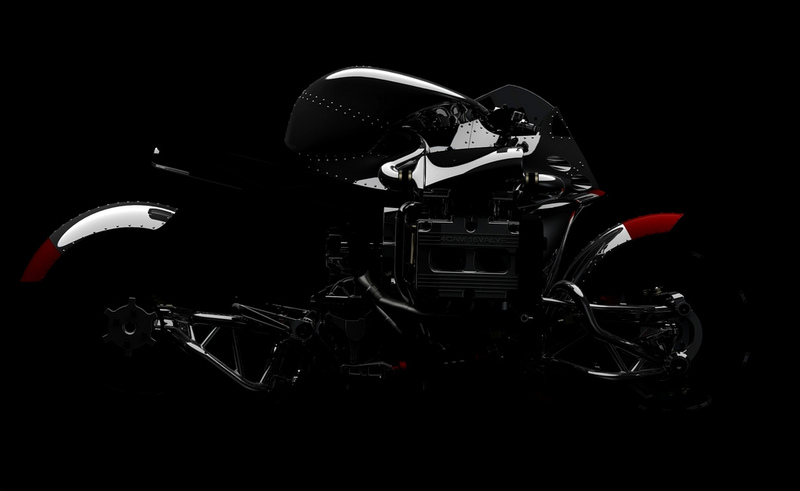 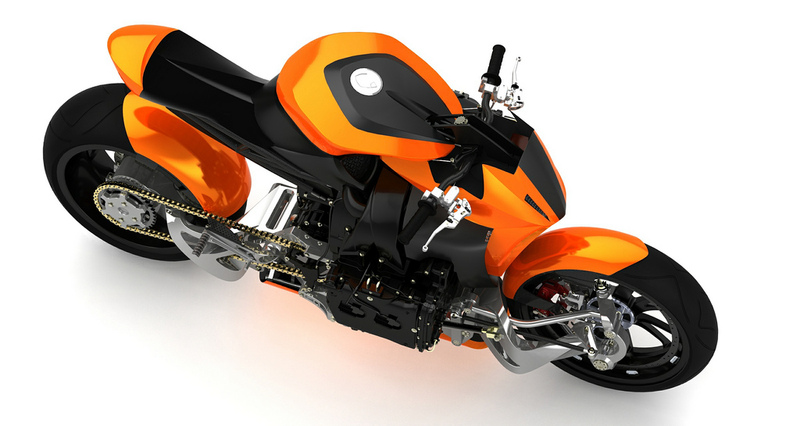 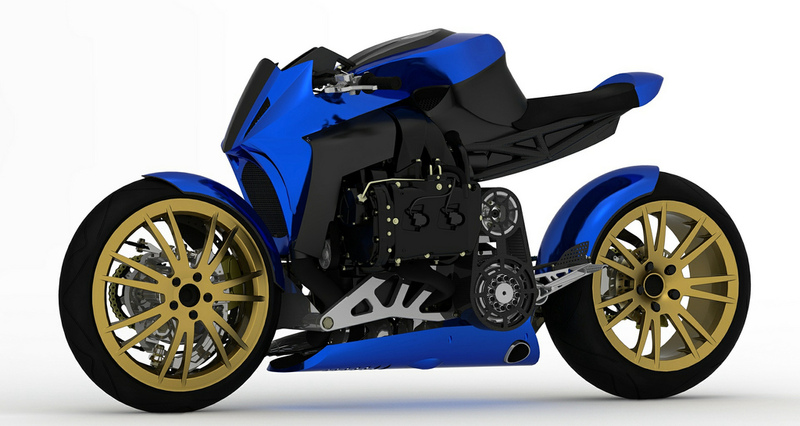 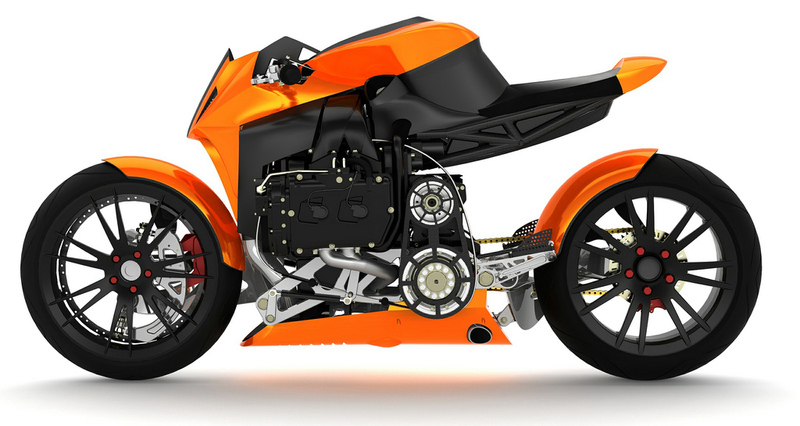 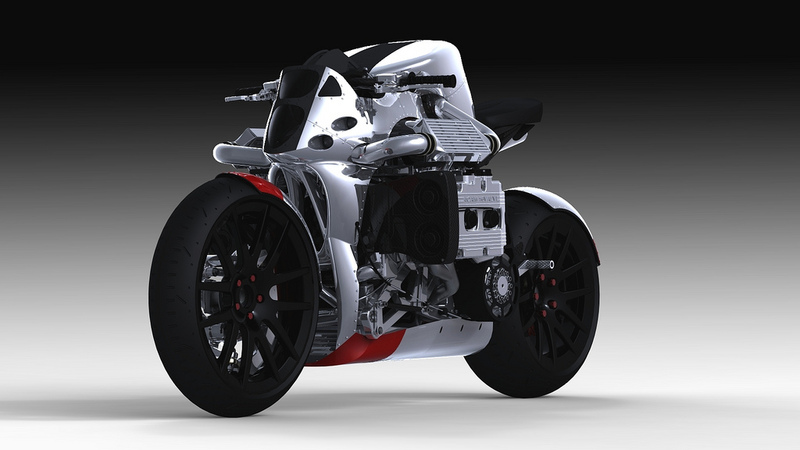 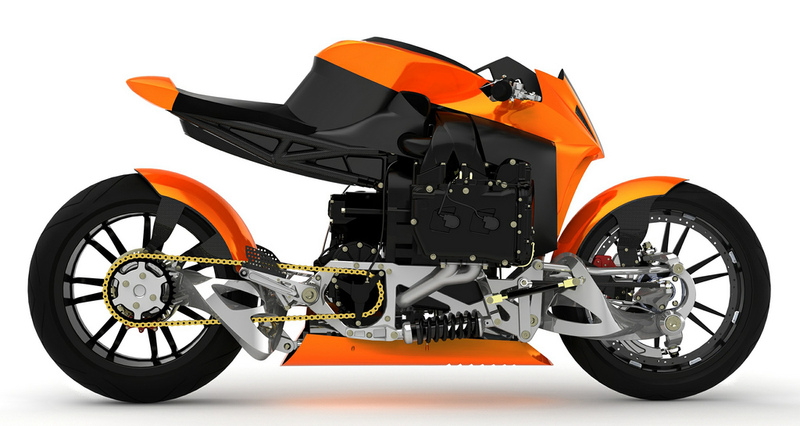 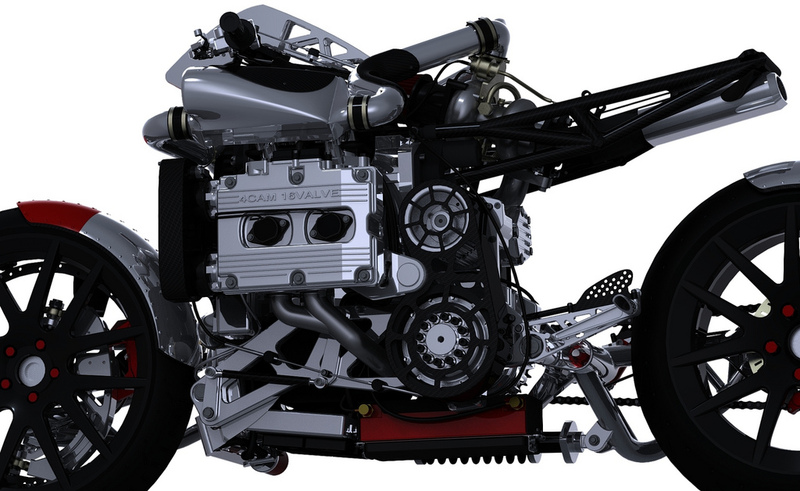 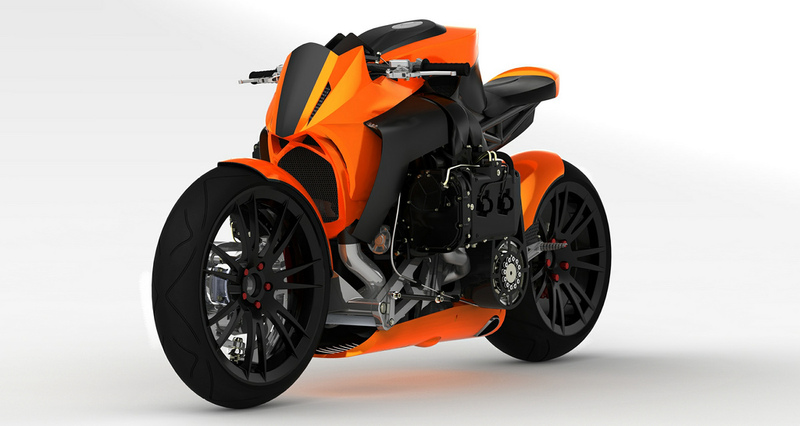 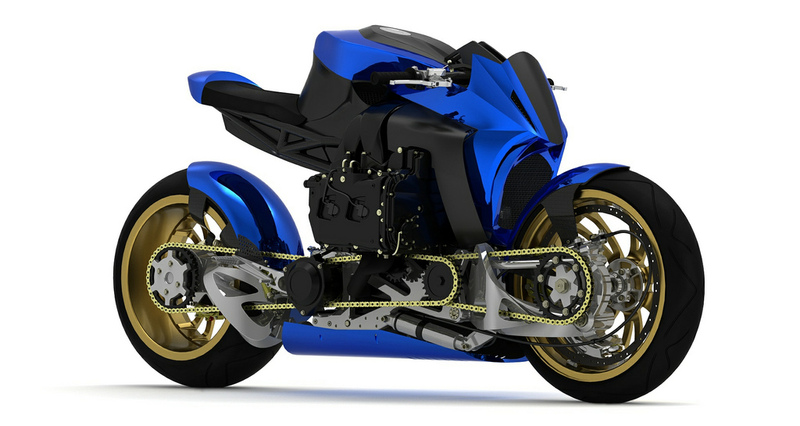 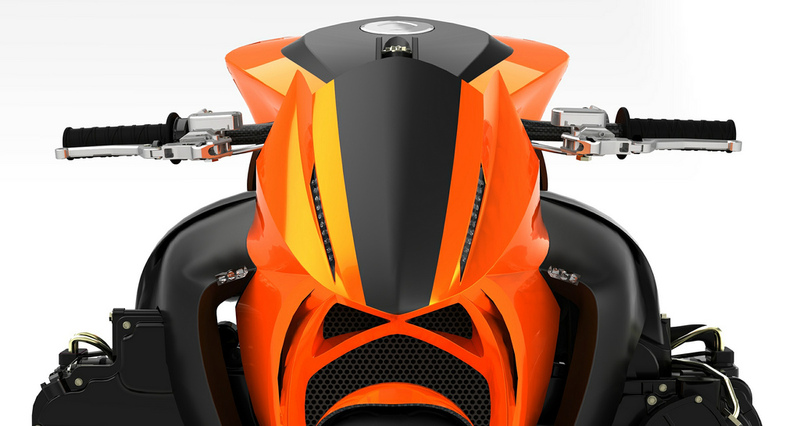 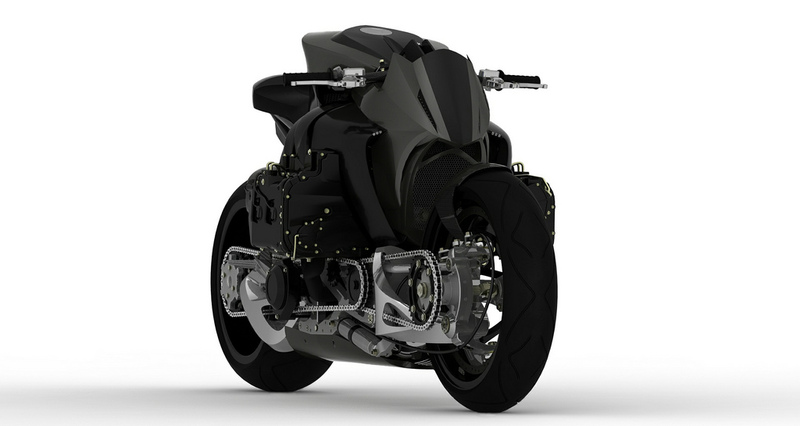 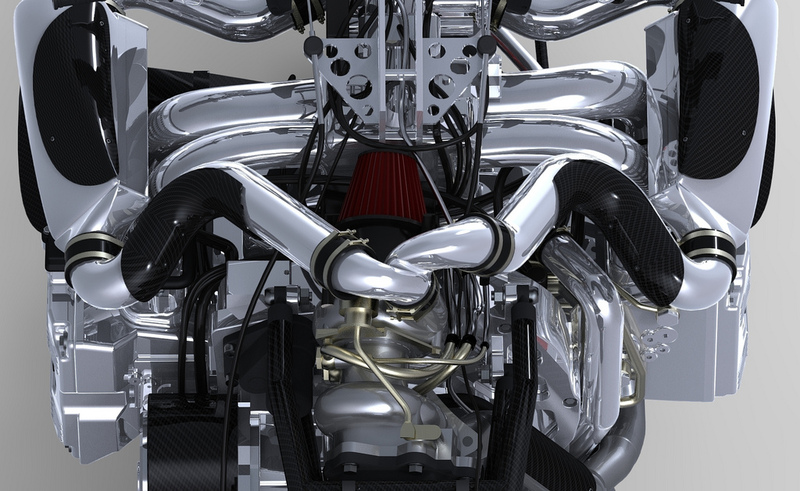 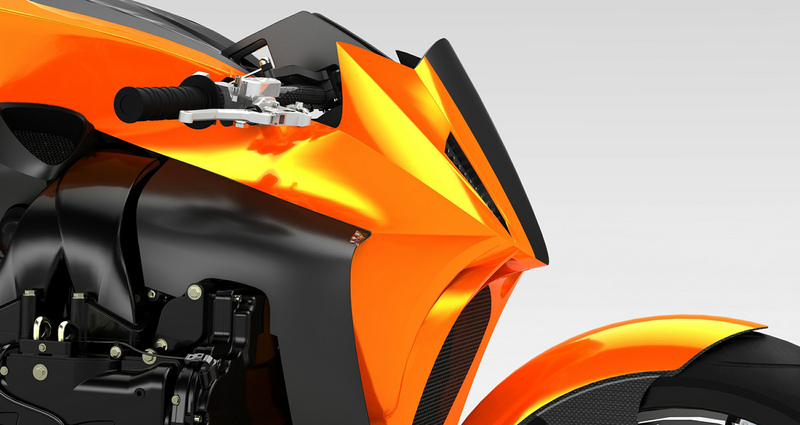 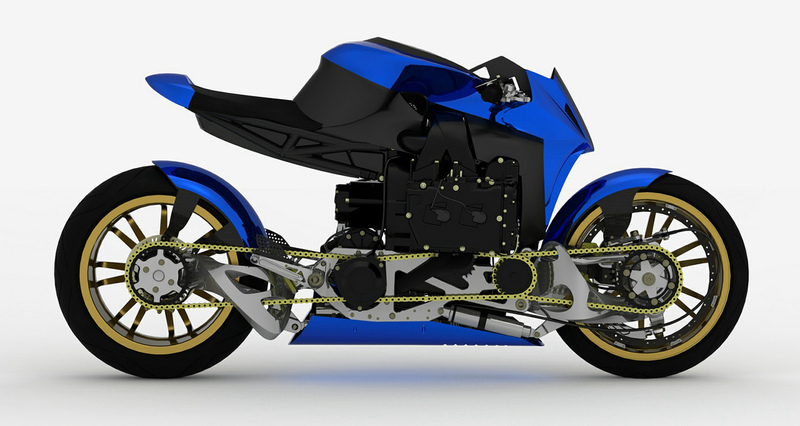 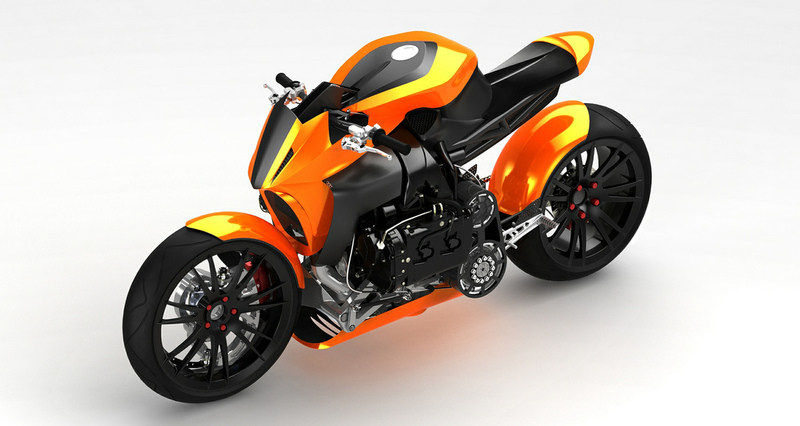 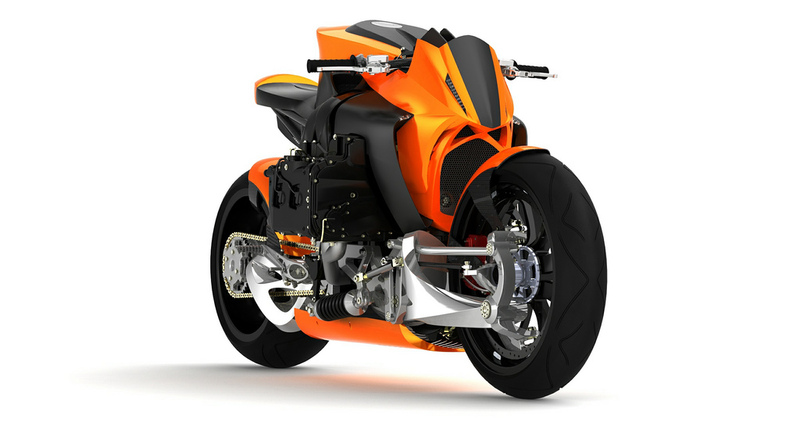 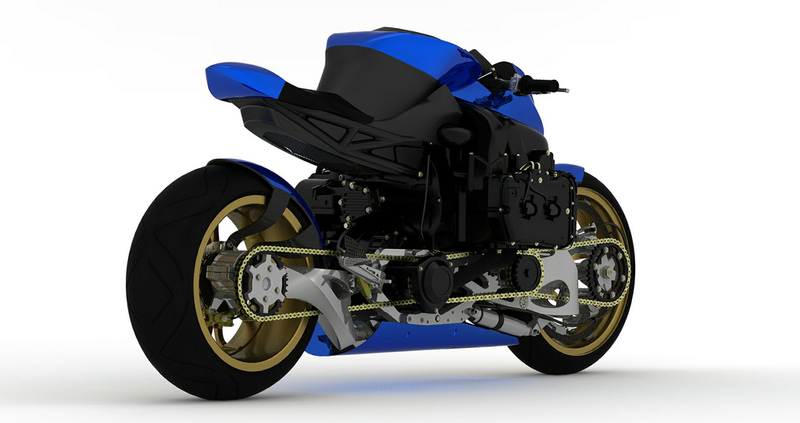 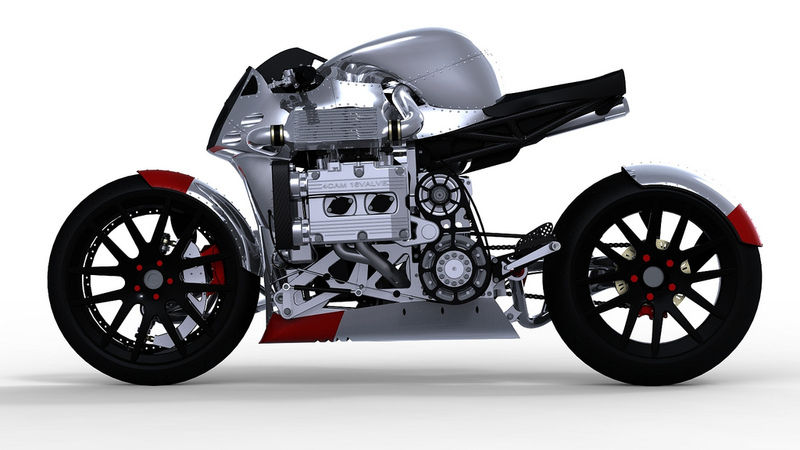 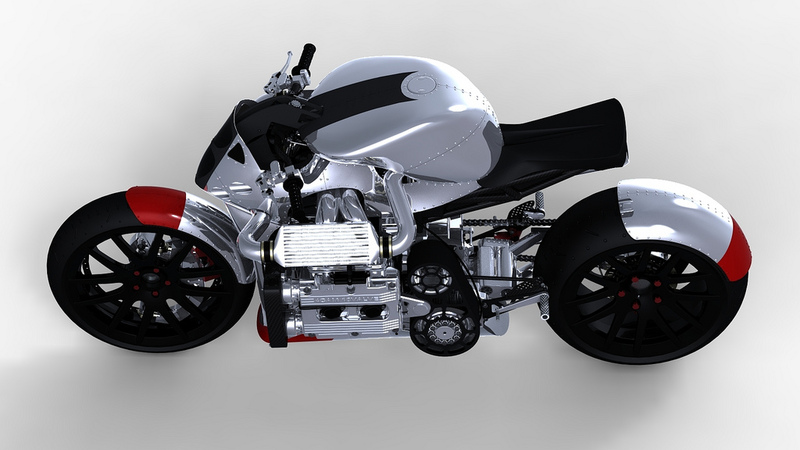 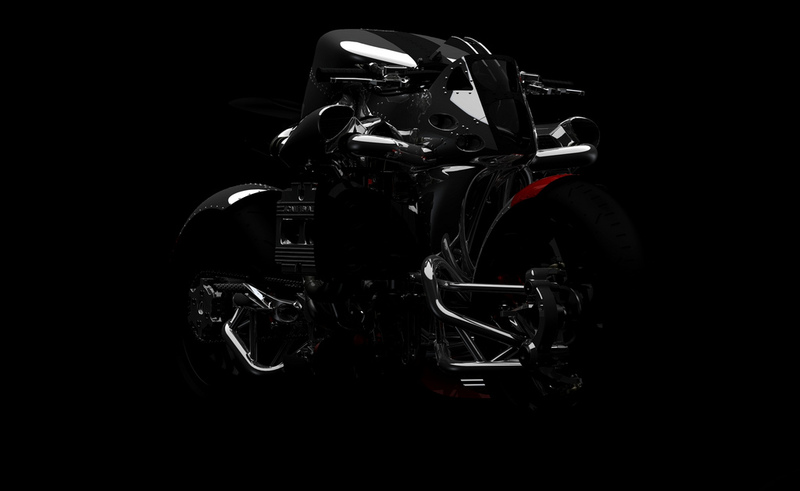 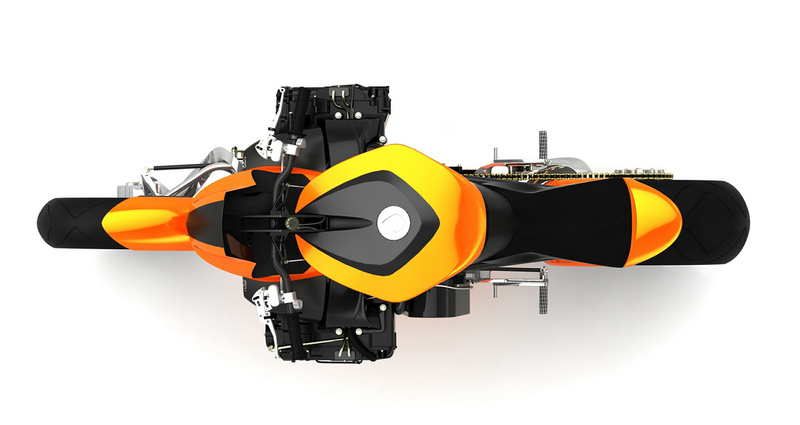 Back in 2009 we fell in love with the Kickboxer concept by Ian McElroy, who taught himself some SolidWorks and dreamt of a motorcycle powered by a turbocharged Subaru WRX engine. 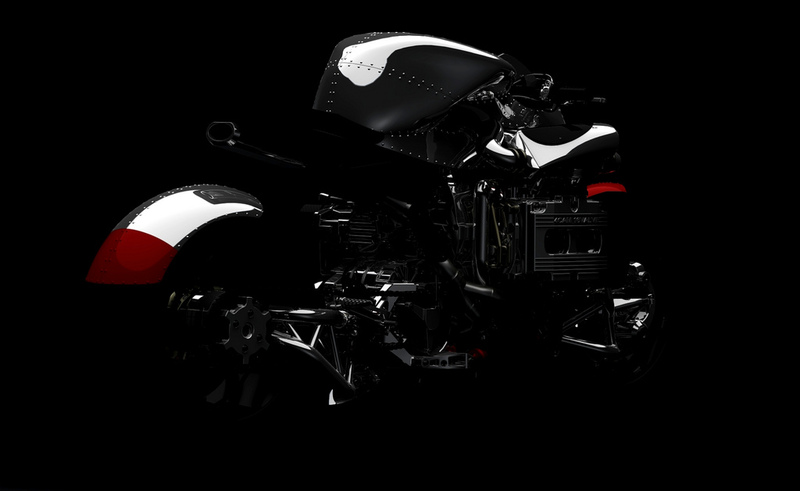 Well McElroy is back with two variations on his original Kickboxer design: one with a diesel motor (also sourced from Subaru), along with an all-wheel drive model. 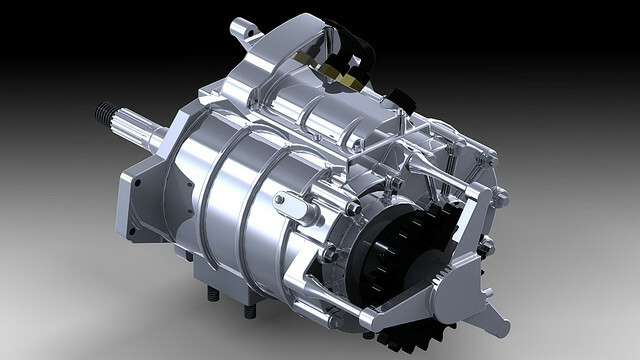 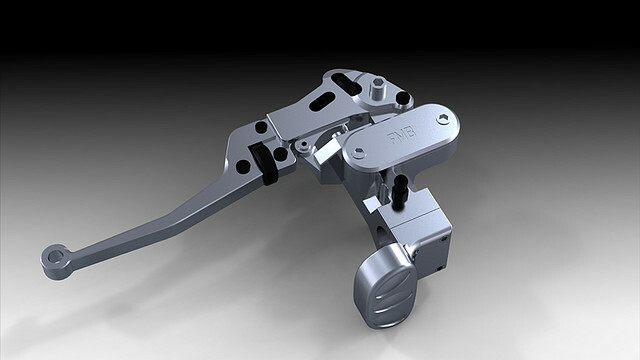 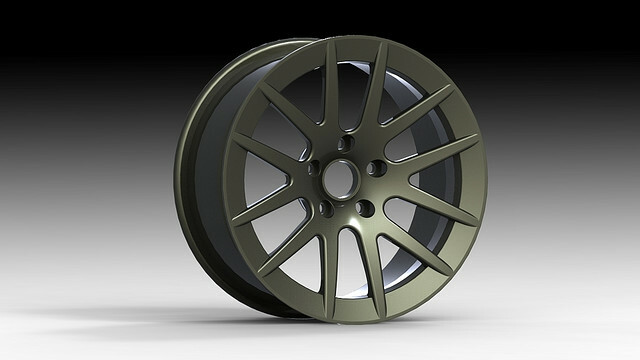 To make the AWD configuration work, McElroy employed a dual-chain drive design that uses a jack shaft, idler sprocket, and a drive axle with a U-joint. 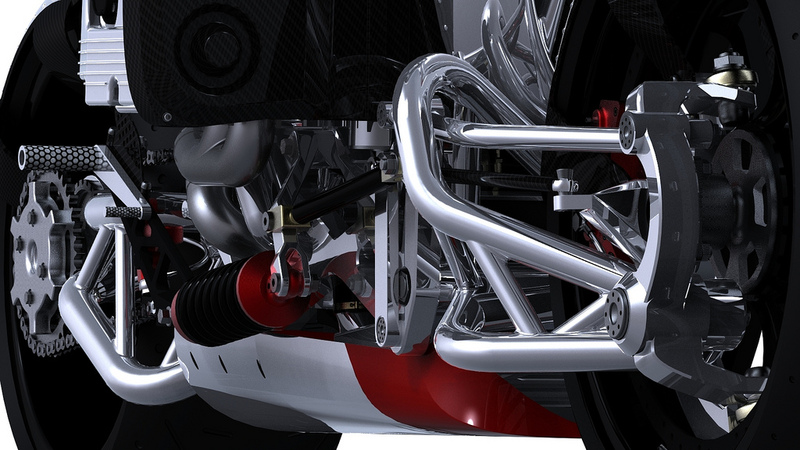 While the original Kickboxer was designed in the 3D modeling software to be precise enough to produce, we’re not sure about all of the engineering behind McElroy’s AWD design (that’s a polite way of saying this author was a social science major in college), but the idea is certainly intriguing. 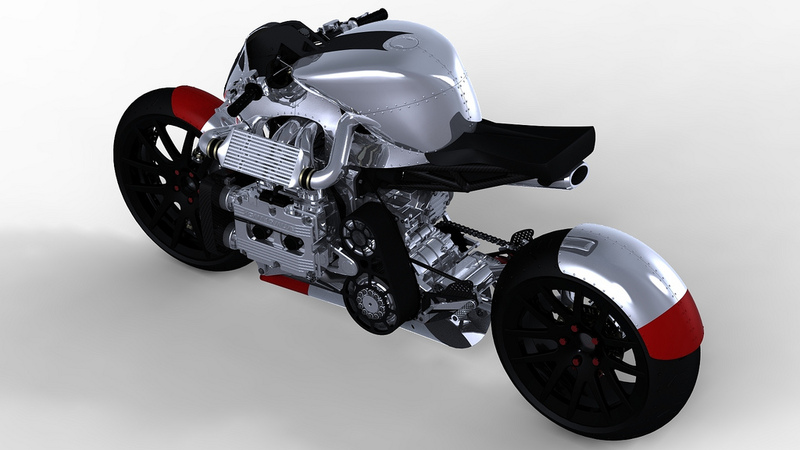 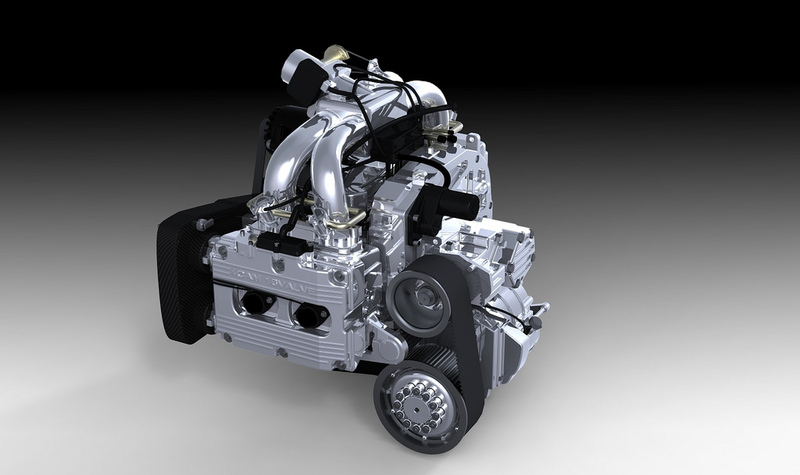 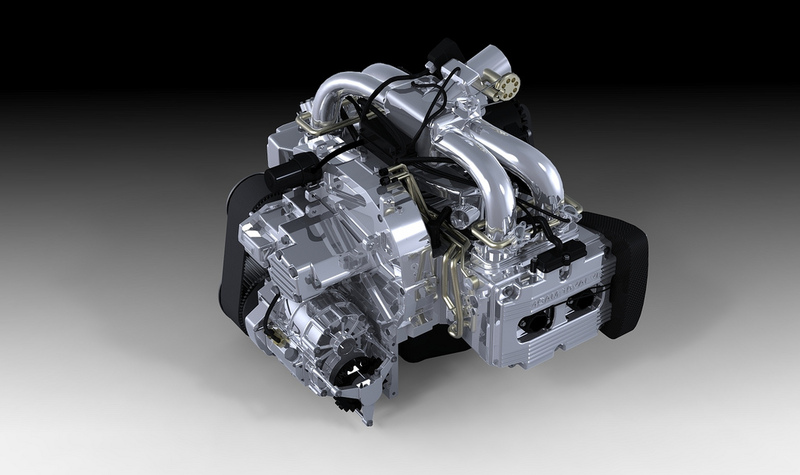 The diesel Kickboxer though, it’s so crazy it just might work…we’ll just have to wait for someone to build one. 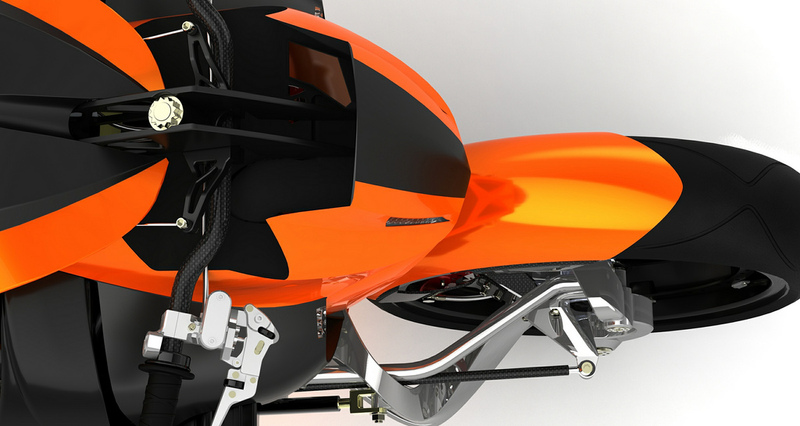 Renders galore after the jump.